In the 10 months since the White House procurement policy chief announced a new push to consolidate contracts, the government as a whole has taken seven key steps in pursuit of category management, officials said on Wednesday, Oct. 14, 2016. “The more we work together to leverage our buying power, drive more consistent practices across our agencies, share information, and reduce duplication, the better the results for the American taxpayers,” wrote U.S. Chief Acquisition Officer Anne Rung and Federal Acquisition Service Commissioner Tom Sharpe in a blogpost for the Office of Management and Budget. Category management, an enterprise-wide approach to acquiring goods and services used in private industry and by other governments, has been developed by the General Services Administration. 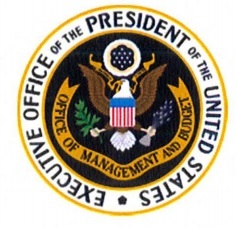 A December 2014 directive “Transforming the Federal Marketplace” broadened the interagency Strategic Sourcing Leadership Council’s charge to encompass category management, or “buying as one.” Officials renamed it the Category Management Leadership Council and divided the federal marketplace into 10 super categories of common items that include information technology, professional services and human capital. The goal is to make all categories functional by early 2016. Acquisition chief Frank Kendall says the cost of the Defense Department’s major projects are falling, but the arms being purchased are less technologically advanced. For the past six years, a newly cost-conscious Pentagon has aimed to buy arms that are less complex and use more existing or commercial technology. And it’s worked. The cost of major projects is dropping, says Frank Kendall, the defense undersecretary for acquisition. And he has the data to prove it. But the bad news, Kendall says in a new 210-page report, is that Pentagon arms buyers have become so risk-adverse that America’s cutting-edge weapons aren’t quite so cutting-edge. And that’s allowing China and Russia to catch up. The Department of Defense (DoD) generally buys major weapon systems through the defense acquisition system, a process that is highly tailorable but still built around the assumption that the DoD will compensate suppliers for product development, contract through Defense Federal Acquisition Regulations (DFARS) and be heavily involved in all aspects of the product life cycle. A number of organizations—including the Defense Business Board, some think tanks and some in Congress — have encouraged or recommended greater use of commercial practices. There are indeed times when using more commercial practices makes sense, and we should be alert to those opportunities — in any aspect of defense procurement. 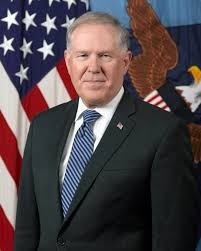 The author of this article is Frank Kendall, Under Secretary of Defense for Acquisition, Technology and Logistics. There are three aspects of “going commercial” that I would like to address — first, purchases based on the fact that an item is offered as a commercial product; next, the need to access cutting-edge commercial technologies; and, finally, those cases where we can take advantage of private investments to develop products we might traditionally have purchased through the normal multi-milestone acquisition system. Our policies and regulations try to strike the right balance between taking the steps needed to protect the taxpayer from overpaying while simultaneously avoiding discouraging commercial firms from doing business with DoD by asking for more information than they are willing to provide. For purely commercial items widely and competitively sold on the open market, this is easy. For thousands of items, from office furniture to cleaning supplies to laptop computers, the DoD pays commercial prices (subject to negotiated adjustments for quantity-based discounts, etc.) without inquiring as to the costs to produce the products. Other items are more clearly and purely military products, such as a replacement part for a howitzer or a low observable fighter component. The gray area between these extremes represents a problem in first determining that a product can be considered commercial, and, then, if there is no competition for setting the price for that product, obtaining adequate information from the supplier and other sources to determine that the price charged is fair and reasonable. We are working to expedite these processes, make them more predictable, and provide technical support to the procuring officials who must make these difficult determinations. I’m afraid that we will never be perfect at this, given the vast number of items the DoD procures and our limited resources, but we must and will improve our performance while preserving a reasonable balance. It is clear that in many areas of technology the commercial market place is moving faster than the normal acquisition timeline for complex weapon systems. Examples include information technology, micro-electronics, some sensor technologies, some radio frequency devices and some software products. In most cases, these technologies will enter our weapon systems through one of our more traditional prime contractors. Our prime contractors and even second- and lower-tier suppliers are looking for a competitive advantage, and, when commercial technologies can provide that advantage, they will embed them in their products. Competition among primes can give us access to current commercial technologies early in a program, but we often move to a sole-source situation when we down-select for Engineering and Manufacturing Development (EMD), reducing the incentives for inserting state-of-the-art commercial technologies. We can sustain these incentives by insisting on modular designs and open systems, both emphasized under the Better Buying Power initiatives. As part of this process, we also must manage intellectual property so we don’t experience “vendor lock” in which we cannot compete upgrades without going through the original contractor. The DoD also is taking other steps to improve our access to commercial technology. These include opening the Defense Innovation Unit–Experimental (DIU-X), in Silicon Valley, investments through In-Q-Tel and increased emphasis on the productivity of programs like the Small Business Innovative Research program. The DoD also is evaluating the Congressionally-sponsored Rapid Innovation Fund (RIF) and will make a decision this year as to whether to include a request for funds for a Reduction in Force in the Fiscal Year 2017 President’s Budget. All these steps are designed to open the DoD to more timely and broad commercial technology insertion. The last of the three “going commercial” topics I would like to cover involves situations in which the DoD substitutes a more commercial acquisition model for the ones depicted and described in DoD Instruction (DoDI) 5000.02. In some cases, industry, traditional defense contractors and others will invest to bring a product to the DoD market, without DoD shouldering the direct cost of product development. The critical motivation for these independent businesses decisions is the prospect of reasonable returns on the corporate investment. Sometimes, especially when there is a mixed DoD and commercial market for the product, a cost-sharing arrangement may be appropriate in a public private “partnership” for development. DoD acquisition professionals need to be alert to these opportunities and prepared to analyze them and act on them where they benefit the government. When we do this, we may need to be innovative and think “outside the box” about business arrangements and contract structures. In these cases, the structure and processes in DoDI 5000.02 may be highly tailored or even abandoned. I’ll illustrate this concept with a few real-life examples. As we moved down the path of DoD-funded research and development for tactical radios under the Joint Tactical Radio Systems program, we discovered that in parallel with the DoD-funded programs of record, some companies had invested their own money to develop and test products that used more advanced technologies than the Programs of Record. These essentially commercial product development efforts offered the prospect of cheaper and higher performance systems, without a DoD-funded development program. As a result of this, we changed the acquisition strategy to allow open competitions and stressed “best value” source selections so we could take advantage of the most cost-effective radios available. Our “system” had a little trouble adjusting its planning to this type of acquisition. The Developmental Testing people wanted to perform a standard series of developmental tests, even though the development was complete. Operational Test people wanted to test each competitor—before source selection. Program oversight people wanted to do Milestone (MS) A and B certifications, even though there was no reason to have an MS A or B. What we needed, and where we ended up, was a competitive source-selection process for production assets that included an assessment of bidder-provided test data, laboratory qualification testing, and structured comparative field testing to verify the offered products met DoD requirements. There were minimum requirements that had to be met; once that was established, a bidder would be in a “best value” evaluation for source selection for production. It was a little surprising to me how wedded our workforce, in both the Service and the Office of the Secretary of Defense, was to the standard way of doing business—even when it didn’t really apply to the situation. The next example involves space launch. The DoD is working to bring competition into this market. That opportunity exists because multiple firms have been investing development funds in space launch capabilities for both commercial and DoD customers. We acquire space launch as a service; there is no compelling reason for DoD to own launch systems. What we need is highly reliable assured access to space for national security payloads, which can be acquired as a service. For some time, we have been working to certify a commercial launch company to provide national security launches. That milestone recently was achieved for the first “new entrant” into national security launches in many years. The DoD did not fund the development of the new entrant’s launch system, but it did provide support through a Cooperative Research and Development Agreement for the certification process. More recently, the need to remove our space launch dependency on imported Russian rocket engines has caused the DoD to evaluate options for acquiring a new source of reliable competitive launch services. Through market research, we know there are options for private investment in new launch capabilities but that industry’s willingness to develop the needed products may depend on some level of DoD funding. The DoD intends to ask for industry bids in a very open-ended framework for whatever financial contribution would be necessary to “close the business case” on the guaranteed provision of future space launch services. This novel acquisition approach will work only if the combined commercial, other government customer, and military launch demand function can provide enough anticipated launch opportunities to justify industry investment. This effort is a work in progress, and we don’t know if it will prove successful. If it does succeed, it will provide for the continuing viability of two competitive sources of space launch services—without the need for DoD funding and executing a new standard DoD development program for a launch or propulsion system. Another example from the space area is the Mobile Ground User Equipment (MGUE) for GPS III. These GPS receiver electronics “chips” will be ubiquitous in DoD equipment and munitions. The technology also will be relevant to commercial GPS receivers that will be embedded in millions of commercial devices. Here, also, the DoD has been proceeding with a standard DoD-funded development program with multiple vendors developing MGUE risk reduction prototypes leading up to an EMD program phase. The combined market for this capability is so great that the competitors proceeded with EMD on their own, without waiting for a DoD MS B or contract award. They did this so successfully that the EMD phase of the program was canceled in favor of a commercial approach that limits the DoD’s activities to compliance testing of the MGUE devices and integration of those devices into pilot platform programs. The final example I’ll cite is the Marine Corps decision to defer the program to acquire a new design amphibious assault vehicle in favor of a near-term option to acquire a modified nondevelopmental item (NDI). The Marine Corps concluded, I believe correctly, that the technology was not mature enough to support the Corps’ desired performance levels and that a new product would be unaffordable. As a result, the Marine Corps opted to first evaluate and then pursue a competitively selected near-NDI alternative. This is more military than commercial off-the-shelf, but the principle remains the same. This program does include some modest DoD-funded development to, for example, integrate U.S. communications equipment and test for compliance with requirements, but it is a highly tailored program designed to move to production as quickly as possible and with minimal DoD costs. What all these examples have in common is the DoD’s recognition that an alternative path—outside the normal DoDI 5000.02 route—was available and made sense from both a business and an operational perspective. Once such an opportunity is recognized, a more commercial approach can be adopted, but this requires some novel thinking and open-mindedness on the part of the DoD acquisition team. We cannot “go commercial” for all of our acquisitions or even most of our weapons systems. The normal process works best for the standard low-volume, highly specialized, cutting-edge and uniquely military products that populate the DoD inventory. The business case simply isn’t there for industry to develop and offer these types of products without DoD development funding. In all standard DoD acquisitions, however, we need to proactively look for ways to embed or insert the most current commercial technologies. Where commercial approaches are justified, we need to spot and capitalize on the opportunity. This article was reprinted from the September-October 2015 issue of Defense AT&L Magazine. To print a PDF copy of this article, click here. 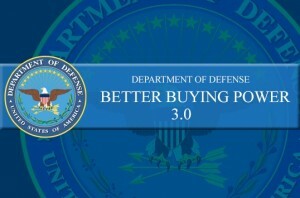 Better Buying Power 3.0 seeks to broaden use of effective market research, develop the tools all stakeholders need, and ultimately establish more efficient processes to reinforce Department of Defense market research and improve correlation with industry capabilities. 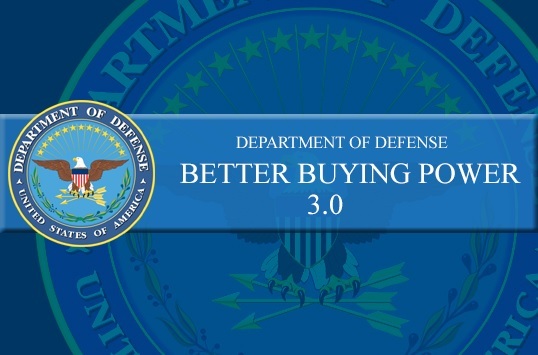 Through implementation of the “Increasing Small Business Participation, Including Through More Effective Use of Market Research” Better Buying Power (BBP) 2.0 initiative, several actions were completed to support improving market research capability within the Department of Defense (DoD). Although acquisition professionals perform market research today, they lack easy access to the decision-making information required at each instance where market research is required. In BBP 3.0, we sought to build on BBP 2.0 outcomes to broaden the use of effective market research, develop the tools necessary for all stakeholders and ultimately establish more efficient yet effective processes to reinforce market research as part of the culture of producing innovative solutions for the DoD. The goal is to identify and accelerate the correlation between the DoD’s technological needs and the capabilities of organizations in the Defense Industrial Base (DIB). The purpose of market research is to enhance affordability, to increase productivity and to identify and scale efficiencies in the DoD acquisitions process with the desired goal of providing better value to both the taxpayer and the warfighter. An effective market research process will allow the DoD to (1) buy smarter, (2) increase small business participation both as prime contractors as well as subcontractors, (3) increase competition, (4) obtain better pricing, and (5) maintain high quality in both products and services acquisitions. Out of this BBP 3.0 initiative, the Office of Small Business Programs (OSBP) is in the midst of developing a set of tools to drastically redefine and enhance all elements of market research by creating a Big Data solution that ingests commercial, federal and DoD data sources. The system maps and integrates 20 years’ worth of buying behavior data with forecasting data. The system over time will apply predicative analytics, trend analysis to identify at-risk areas within the small business industrial base. By ingesting near-real time data about the DIB, trend analysis, risk factors and future buying needs, the tool identifies potential risks and efficiencies. The Market Research Center of Excellence (MRCOE) platform also is a collaborative tool. Every year more than 500,000 contracts are awarded by the DoD. Any acquisition that costs more than $25,000 from the inception of the acquisition process to award has associated documentation: a Market Research Justification Report (MRJR). This system not only will automate major components in the generation of that document but also house MRJR in one location. The system will enable the acquisition workforce to learn together, from issuance of a request for information to a request for proposals and from the interaction between our workforce and industry. Most people do not know that market research as defined by the Federal Acquisition Regulations (FAR) is good for 18 months. By creating this central repository and suite of tools, the DoD can leverage previously performed market research, saving both time and effort by acquisition professionals and removing redundancy in the overall acquisition process. Progress from creating a market research platform to enhancing market research capability, revolutionizing performance management, optimizing analytics and enhancing engagement between the DoD and the industrial base. Development of an MRCEE that automates and streamlines the entire process of market research, tracks the engagement with industry, auto-generates components of the market research report, and houses all the reports and market research in one location. Market Research Execution: Streamline the process of searching, identifying and engaging companies. Analytical Tools: Provide tools to the acquisition workforce to assess buying behavior and simplify the identification of small business opportunities. Goal Management: Provide a tool to manage small business goaling and allow for a more refined approach to goal-setting. Future Needs Forecasting: Provide a way to capture and centralize forecasting data internally. In order to potentially round out the strategy for improving the market research process, the OSBP will study the feasibility of establishing a superior supplier program for small businesses using best practices gained from existing programs targeted to other than small business concerns. Lastly, OSBP will study the feasibility of rapid response technologies in order to provide market research capability, including consideration of the Air Force model of developing MRCEE subject-matter experts, and empower acquisition workforce members by providing them with exceptional training. Market research is the cornerstone of determining supply capabilities in DoD acquisitions; it is used to make key acquisition determinations, for examples, about the availability of capable companies, commercial items, potential bundling justifications, and how companies engage with the DoD. 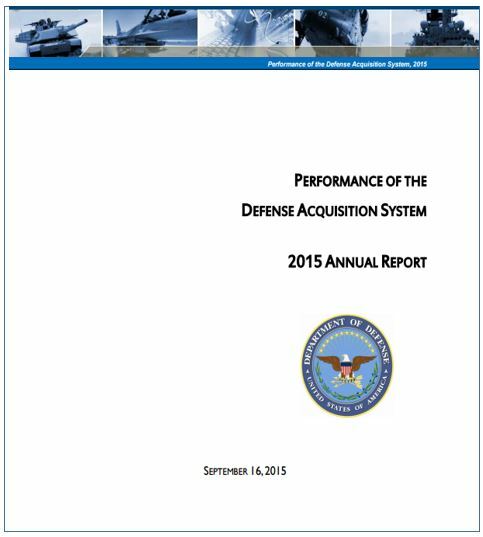 The data produced as a result of effective market research aid in ensuring the DoD capability and dexterity required to strengthen national security and deter threats. Additionally, improved market research practices can lead to increased commercialization rates as richer business intelligence provides a more effective matching of needs to market capability. The MRCEE offers a single portal — www.business.defense.gov — that provides tools to accelerate and enhance the engagement between industry and the acquisition workforce. The portal will give industry a centralized location to access information, resources and tools to optimize their engagement with all levels of the DoD. We will engage industry through social media channels, forums and digital platforms, including mobile and tablet devices. Industry tools include a knowledge base, interactive online wizards and video-based training. The acquisition workforce will have available a number of tools on business.defense.gov/apps—a management system to track performance and goaling. Buying behavior analysis tools will provide the acquisition workforce with rich data and comparative analysis throughout the DoD. The tools will house and consolidate industry, public and DoD data sources into one data warehouse. The data warehouse also will ingest data from external sources through approved integration and interaction between our system and other DoD systems. It ingests both structured and unstructured data, allowing users to search between relational data and documents in a seamless manner. The tools automate, streamline and aid the acquisition workforce during the market research analysis with enhanced search capability across numerous data sources. The workforce can interact with industry immediately through the platform, via email broadcasts, surveys, webinars and scheduling calls and meetings. The tool compiles the market research activity and industry engagement conducted on the platform and then auto-generates a market research report document for the user. That report can be edited and stored on the MRCOE platform. That comprehensive data set of market research reports and activity then will be available to acquisition workforce members using the platform for their market research needs. This will have a significant impact in time and money. It will enable a qualitative improvement in market research analysis. The platform will have one centralized dashboard that captures the interaction between the small business industrial base and the DoD from registration, interaction, engagement, award, grants and then after the award. The forecasting tool saves costs and time for small business professionals, allowing more effective industry outreach and more efficient market research. The tool enables assessment if and how we address the concerns of industry, attract nontraditional suppliers or serve the dynamic needs of a rapidly evolving industrial base. The information can be monitored and assessed in real time. The forecasting tool allows industry—small businesses in particular—to understand the coming needs of the government and the contracts that will be available for competition. It increases small-business participation benefits to the DIB through increased competition and the resultant innovations. The tool provides improved market research tools, processes and practices that will lead to the attraction of a larger and more qualified pool of talented companies, increased competition, cost reduction, and increased commercialization rates. Forecasting allows DoD decision makers to prepare more accurate responses to projected capability requirements. A standardized, systematic approach to forecasting will improve the DoD’s relationship with industry and lead to enhanced acquisition outcomes. The proposed market research tool would provide richer and larger datasets to assist the acquisition workforce in identifying companies that address the DoD’s needs. A user-friendly platform that aggregates data from a number of commercial, public and DoD sources would provide higher-quality information and improve access to nontraditional suppliers. The initiative would streamline the process for assessing past performance, capabilities and comparative analysis across many data sources. It also would enable verification of the financial health, organizational structure, innovative capabilities and history of the organization, which together will improve commercialization success rates. And the initiative will Identify potential risks to the DIB. Supporting data will include labor hours saved, efficiencies gained, overhead reduced, etc. Incentives are necessary to sustain the initiatives. In addition to the proposed policy development, incorporation of effective market research strategies, including use of the tools, into acquisition certification coursework would ensure that acquisition professionals have both the knowledge and skills to make use of the tools moving forward. MRCOE will be released in three phases, with each phase building on additional functionality. MRCOE Release 1 will include automation of manual processes and a goal management system; MRCOE Release 2 will include industry engagement tools, analytical tools for acquisition workforce, and market research report generation. MRCOE Release 3 will include full transition of capability to strategic platform with analytics on utilization analytics and a consolidated repository of historical market research activities and reports utilized to enhance future market research activity. This article was published in the July – August 2015 issue of Defense AT&L. The authors are Kenyata Wesley and Farhad Chowdhury. Wesley is deputy director for technology and innovation and acting director of the Department of Defense Office of Small Business Programs (OSBP), where Chowdhury provides senior management support. The authors can be contacted at Kenyata.l.wesley2.civ@mail.mil and Farhad.chowdhury.CTR@mail.mil. By increasing productivity and putting an emphasis on automation, the Defense Logistics Agency’s Time to Award initiative is one of the primary focuses of DLA Land and Maritime’s workforce. Matched with the Department of Defense’s acquisition efficiency initiative Better Buying Power 3.0, Time to Award strengthens the organization’s ability to realize savings, avoid costs and improve warfighter support. Time to Award began in 2013 to improve agency contract award procedures and better support warfighters. The agency took a look at the average time it took to award contracts from October 2011 through March 2013, established a baseline and set new goals to anticipate the changing needs of customers while aligning its goals, processes and performance with those needs. Standardized processes were developed to streamline the acquisition process agencywide in order to reduce the amount of time spent on awarding a contact. At DLA Land and Maritime, a Time to Award working group was responsible for “game changing, strategic process changes,” according to Mindy Tisone, procurement analyst. Some of these changes included modifications to associate performance plans, reductions in automated solicitation periods and purchase request regeneration. Land and Maritime has reduced automated lead times by 39 percent, or seven days, from the baseline of 18 days to 11 days as of April 2015, Tisone said. Getting vital spare parts, such as pipes, tubing, microcircuits and fuses to ships, tanks and wheeled vehicles, sustains warfighters in an era of complex, competing and often urgent needs. Equally important is the awarding of long-term contracts. LTCs are for high-frequency, high-demand items, Tisone said. Land and Maritime is using continuous process improvement metrics as it increases its focus and resources on LTCs. Since the inception of the Time to Award initiative, LTCs under $10 million have decreased by 53 percent. A baseline of 494 days was established and, in April, that average was reduced to 233 days to the award. Looking ahead, Land and Maritime leaders will engage the workforce, requesting feedback on the program to keep processes and techniques fresh and effective. From simplification of rules to increasing automation output, associates look forward to eliminating unproductive processes as Land and Maritime pursues the goals of Better Buying Power.